Giant Monsters All-Out Attack is the twenty-fifth Godzilla film in the series and is bursting at the seams with action, adventure and drama! Taking place in the 1990s Japan is preparing for further attacks as a nuclear sub which was believed to be missing was in fact destroyed by Godzilla. Meanwhile at Mt. Myoko a mysterious earthquake occurs heralding the return of Baragon who is mistaken for Godzilla. Others believe that it was not the giant monster and sometime guardian of Japan. 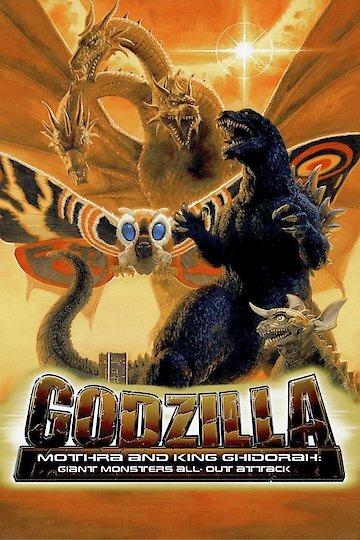 When the previously peaceful Mothra begins to attack innocent people and King Ghidorah joins in everyone is confused! Godzilla, Mothra and King Ghidorah: Giant Monsters All-Out Attack is currently available to watch and stream, buy on demand at Amazon, Vudu, iTunes online.